most well known of the triad, are often absent in many leads. 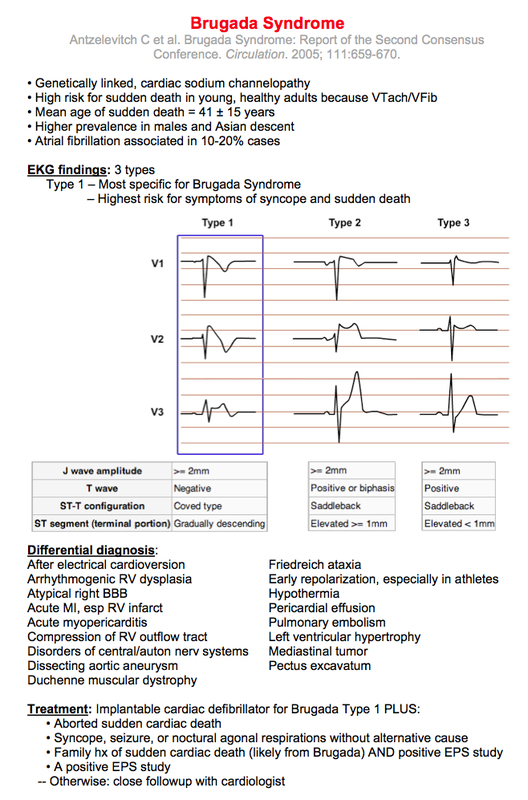 terminates spontaneously, the patient presents instead with syncope. morphology with STE in leads V1 to V2. mias, usually associated with exertion, in relatively young patients. highly specific for this entity.